Roxy is wild, uncontrollable. She hates her parents – and her goody-two-shoes sister. Her only solace is her equally wild friends, Pat, Tracey and Jacqueline. Then there is the night of the party, where she lets that boy kiss her, and more and Roxy is pregnant. Wilfully, she won’t tell her mother, her family. She decides to run away to London. And in London Roxy is found by Mr and Mrs Dyce. They are understanding, sympathetic, and promise her a way out of her troubles. They will take her to a comfortable place, along with other girls in the same position and look after her and her baby – which is exactly what happens. Roxy cannot believe her luck. 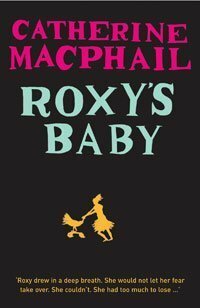 Roxy’s Baby is on our UKYA Top 100 list. Categories: England, London, Social/Family, Thriller | Tags: Catherine MacPhail | Permalink.